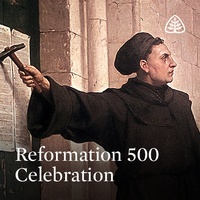 Ligonier’s Reformation 500 Celebration event is available for free download. The speakers include R.C. Sproul, Sinclair Ferguson, Derek Thomas, Stephen Nichols, and Burk Parsons. The five-hundredth anniversary of the Reformation calls for celebration and remembrance lest we forget this event and the doctrinal truths that sparked it. On October 30, 2017, Ligonier Ministries hosted a special evening celebrating the Reformation. Sinclair Ferguson, Stephen Nichols, Burk Parsons, and Derek Thomas joined R.C.Sproul in covering the Reformation in brief messages that highlighted the gospel, what it means to have peace with God, the historical setting of the Reformation, and other topics.